Scubapro Hybrid Short specially designed to be used over a diving suit for extra storage of your dive equipment. 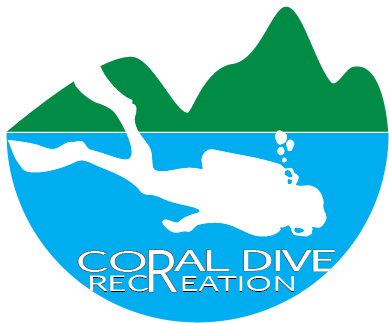 very useful for any diver. 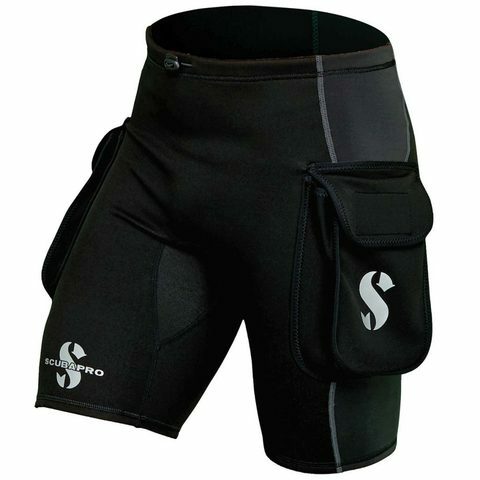 Built with a mix of quality 1mm X-Foam neoprene for warmth and durable nylon for stretch and comfort.Comfortable and stretchy, HYBRID cargo shorts form-fit to your body like you were born wearing a pair. 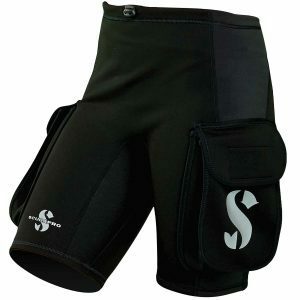 On the underside of the nylon panels a microplush interior makes the shorts warm and cozy. This fleece fabric absorbs less water, which keeps heat against the body, increasing overall warmth. It also dries quickly.Designed to be worn either by themselves or over a dive suit, HYBRID cargo shorts come with a nylon drawstring and reinforced seat, plus two large cargo pockets for carrying money, sunglasses or other accessories when enjoying a day on the beach or dive boat.Wear a pair with a stylish new HYBRID thermal rash guard to create the perfect beach or boat ensemble.